Recently I’ve been updating and refreshing WProll.com — the directory of hand picked blogs covering the world of WordPress. Here are the Top 100 WordPress blogs according to the Rollrank and the daily planet which is also available as a Flipboard magazine with 500+ subscribers. Be sure to subscribe. 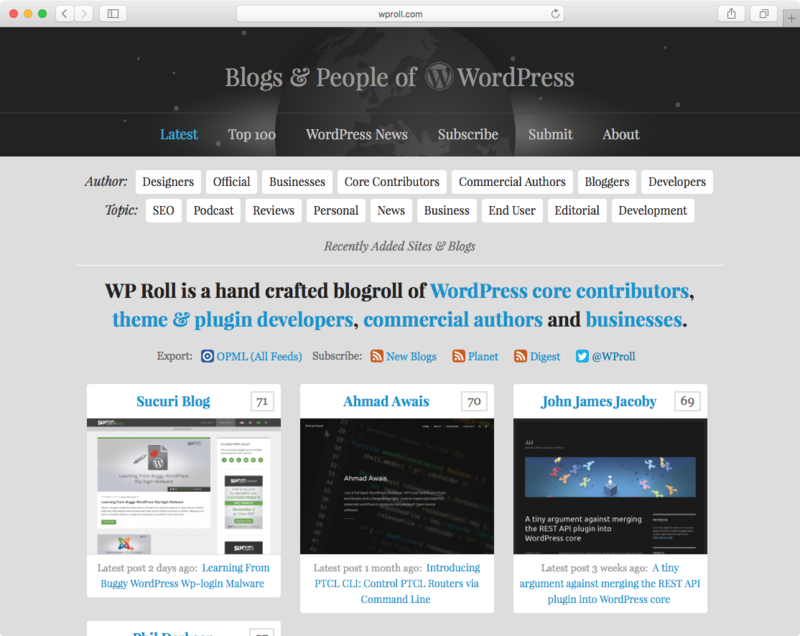 I created WProll.com in 2013 to showcase my collection of RSS feeds for blogs about WordPress. Here it is on Feedly. I’m sorry that I missed that, Ahmad! I just updated your listing. Oh boy, that was quick! Keep up the good work, Kaspars!